Finding the perfect marketing agency for your business can be a challenge. Since San Francisco is teaming with brilliant creatives, we thought it would be helpful to create a comprehensive resource, consolidating all the best San Francisco marketing agencies into one place. And we're also passionate about helping marketers in general. 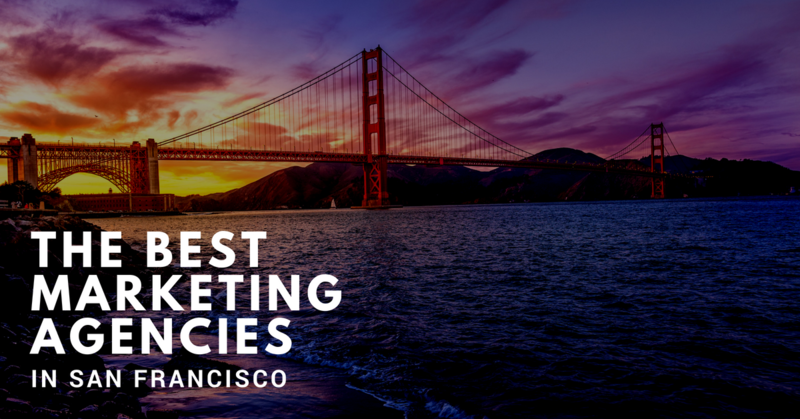 That's why we put together this list of the top 65 marketing agencies in San Francisco. How They’re Different: For startup founders with a limited budget that want to get customers. Growth Marketing Pro offers a webinar that breaks down, step-by-step exactly how to get users. If you're still confused by the end, they offer a Growth Playbook that entrepreneurs and even some startup incubators swear by. ‍Philosophy: Marketing is not rocket science. You're smart enough to figure it out if you had all the time in the world. But you don't. You're busy building an awesome product. What they offer: A Custom Growth Playbook-- "Don't waste time, energy or money. We'll tell you which channels and tactics to prioritize based on our experience growing startups from $0 to Millions." ‍Mantra: The safest way for startups to get customers. Which San Francisco Advertising Agency Sounds Right For You? These 20+ agencies have worked with world renowned brands like Disney, Adidas, Ben & Jerry’s, and so many more. With experience building delightful content that touches millions around the globe, you can be sure these agencies can provide creative services to take your business to the next level. How They're Different: barretSF has great expectations: they want to be the best ad agency in the world. Notable Win: AdAge West Coast Small Agency of the Year. How They're Different: Workers with diverse backgrounds that give clients access to broader and more experienced workers. How They're Different: Argonaut has a deep-rooted commitment to wholeheartedly understanding and getting excited about your business. How They're Different: Duncan Channon focuses on relaunching brands with help in strategy, identity, design, and more. How They're Different: BSA creates advertising and digital content, plans and buys media, and produces film and video unlike any other agency by leveraging consumer insight, behavioral economics, and predictive data analytics. How They're Different: They offer an unfair advantage to their clients by utilizing their senior practitioners, deep ad industry expertise and their own ad technology in a way that enables clients to grow faster and hit their ROI goals. How They're Different: Venables Bell & Partners is dedicated to meeting the needs of their clients, and they have acquired three other business units (Lumberyard, VBP Ops, and VBP Orange) to help their clients with all their needs. Company Philosophy: "Our intentions are good." Venables Bell & Partners has a business model built on honesty and fearlessness. How They're Different: Pereira & O'Dell wants to help your company switch from advertising-centric to content-centric marketing. How They're Different: Gumas, Champion of the Challenger Brand, thinks of successful marketing as a smooth-running machine, with all its components working together in harmony to maximize results and return on investment. How They're Different: BBDO is focused on valuing teamwork as they see advertising as a team sport. How They're Different: Riney believes in great creative thinking and ideas, they will work tirelessly to make those ideas come to life. How They're Different: Huge wants to build your business by creating experiences that people love. 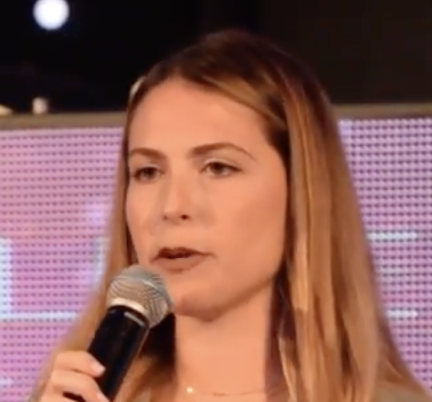 How They're Different: MRY bases their entire company on three words, “Ideas Humans Love” and they strive to make sure that every campaign they take on proves that. How They're Different: Heat wants to use the power of surprise to build brands, solve problems and kindly take over the world. How They're Different: Mekanism creates advertising at the intersection of technology, design, culture, and brand stories. Mekanism helps brands build loyalty, authenticity, and love. Mission: Storytelling for emerging media. How They're Different: The team behind MUH-TAY-ZIK HOF-FER are creatively driven professionals in the industry formerly known as advertising. Their aim is simple. They want to help you do something better than you would have done without us. Top Three Rules: 1. Do no harm; 2. If everyone gets out of the box, get back in; 3. Make the world 0.000001 percent more beautiful with everything you do. How They're Different: AKQA believes they are an innovation and experience design agency. They are an imaginative application of art and science. They exist to create a better future with you. How They're Different: Camp + King is a creatively driven, strategically whip-smart ad agency in San Francisco's Presidio. Their Philosophy: Camp + King makes brands conversationworthyTM through listening, creating, amplifying, and measuring results. How They're Different: Hub Strategy & Communications builds their agency around being a creative and strategic hub. They have developed a fully integrated design, advertising, strategy, & production agency with an innovative network of ~100 freelancers to help your business thrive. How They're Different: The team at Eleven works alongside ambitious, visionary business leaders to rethink and reimagine their most essential brand conversations. How They're Different: Goodby Silverstein & Partners strives to create mass intimacy or content that reaches millions and billions yet seems to speak to only the reader of the content. How They're Different: True North prides itself on creating actionable branding. They want to make sure that the impressions they garner for your brand make an impact. Key Services: Media planning, Media Buying, Analytics, Online Advertising, Search, Video Content Creation, Production, Rich Media, Print, Direct Mail. What are you looking for in a digital marketing agency? Is your current digital marketing strategy working for you? These 20+ San Francisco digital marketing agencies have operated every channel under the sun. How They're Different: Media Cause uses digital strategies to build, engage and leverage communities to help nonprofits. Mission: Accelerate the growth and impact of organizations and individuals doing good around the world. How They're Different: Organic matches customer insights with technology-enabled innovation to help brands create meaningful experiences using their 23 years of experience. How They're Different: Flickerbox combines marketing, design, and technology to create websites, product demos, and lead generation campaigns that work. Their Philosophy: We are better together. How They're Different: BayCreatives sees themselves as an extension of your team with their “marketing department in a box” approach to handling clients. How They're Different: 46Mile puts data at the heart of every solution so you can make sure that your goals as a client are met and exceeded. Key Services: Integrated marketing, research, website development, brand strategy, creative content, SEO, SEM, paid media planning and buying, social media, and more. How They're Different: At Ideas Money Art (IMA) they utilize powerful software and research methods to find out exactly how your channels are performing and who your customers are. How They're Different: Trepoint uses a winning trifecta of brilliant creative, analytical expertise, and marketing technology to help brands succeed. How They're Different: Clock Four was founded by a group of experienced professionals in 2006 who were tired of "business as usual" in digital agencies. How They're Different: Ethos Interactive combines Strategists, designers, and technologists to transform your business to win the digital scene. How They're Different: IM Republic uses a variety of programming languages to write your success story to bring your great idea to life. How They're Different: 3Q Digital layers their media with strategy and innovation that's setting a new industry curve and shatters growth constraints for clients in every vertical. Their Mission: To become the world’s top independent digital marketing firm by exceeding the goals and shattering the expectations of their clients and a creating a culture of fun, respect, and passion for their talented and growing team. How They're Different: They are digital marketing agency specializing in the entertainment, retail, education, and technology verticals. They create beautifully integrated solutions and communication across all media, and help you develop marketing strategies, execute campaigns, and drive revenue. They believe that every element of your campaign is vital and informs each next element, which is why their approach is never siloed and always integrated. Noteworthy Quote: “Analytics driven. Award winning. We are product launch specialists." How They're Different: Metric Theory is a performance marketing agency of ambitious marketing experts and data wonks who see clients’ goals and budgets as their own, rooting their work in their core tenants of communication, data, technology, transparency, and above all else, results. Key Services: Search Engine Marketing, Paid Social, Shopping & Feed Management, Amazon Ads, Media Planning, Programmatic Media, Audience Management, Digital Video. How They're Different: Swirl is focused on serving and amplifying 21st-century brands. Their Mission: Create industry-leading media automation software and intelligence solutions that exceed expectations and delight their users. How They're Different: DWA has 22 years of experience servicing B2B tech, as well as a global footprint to support some of the world’s largest enterprise tech companies. Marketing shouldn’t be a nuisance to a consumer—it should be a vehicle for empowered, clearheaded decision-making. Game changing performance relies on an investment in your communications, not on a series of transactions. “Right place, right time” is only half the battle. Effective communication relies on understanding and influencing individual mindsets. The world’s most innovative brands believe in the power of data to transform conversations. Let’s face it, in today’s online age, content is king. You want to make sure that you are producing valuable content and that it is optimized perfectly to rank on search engines like Google. Check out these San Francisco content marketing agencies below to get an idea of who can help. Unique Project: Abstract: The Art of Design, an original documentary series for Netflix. How They're Different: First Page Sage is a passion-driven company whose values include treating clients and employees like family; over-achieving to exceed their clients' goals; and giving back to the community. What Their Clients Say: “Lots of people claim to understand SEO and how to drive and convert leads over the internet, but this is first time I have seen someone clearly implement a strategy that makes sense, and will work. Evan has already done it for himself, so he is the proof. If you are looking for the true expert in this industry, Evan is the real deal.”-Jim Hernandez, CEO of Strategic Business Communications, Inc.
How They're Different: Valley Wizard takes each campaign as a personal challenge, and use all available digital internet tools to create and deliver the best end product for your company. How They're Different: Brafton strives to produce custom content marketing strategies and the writing, graphics, and videos to fuel your business online. How They're Different: SevenAtoms provides inbound marketing and PPC management services. They are also a HubSpot Gold Partner. Their Goal: To build long-lasting, mutually beneficial relationships with their customers. How They're Different: Tendo Communications want to create programs that attract, engage, and retain your audiences and increase the results of your marketing efforts. How They're Different: Ready State uses an investigative form of marketing that helps them get to the bottom of what stories and experiences your audience wants from you. If you think your ideal audience isn’t using social media, you’re likely mistaken. Social media marketing allows you to get up close and personal with your audience in real time. These four social media marketing agencies can help you grow your reach and increase engagement. How They're Different: Crowd is a creative communications agency growing crowds worldwide. They have offices all over the world, including an office in San Francisco. How They're Different: Growth Pilots prides itself in trying to produce authentic partnerships and long-term clients instead of jumping from client to client. They want to immerse themselves in your business fully! Noteworthy Quote: "We're building a brand through social and digital...It represents a real understanding of how media is consumed, and how brands are built today." You want to get the word out about your business, and these San Francisco PR agencies who know how to make that a reality. These 9 PR agencies in San Francisco are ready to help you build your brand image within the media. A strong and positive brand image will help you raise awareness and attract new customers. How They're Different: Landis Communications has been serving clients in the public relations space for 25 years, over that time, they have built up a lot valuable experience for clients of all sizes. Noteworthy Quote: "We believe in ideas that create change. We craft compelling stories. And, we communicate." How They're Different: Bateman Group tries to understand many different facets of your company. They work on PR as well as social media, content marketing, and analytics to help technology and consumer brands turn innovation into market leadership. How They're Different: The team at LaunchSquad loves nothing more than to tell a good story. And for the last 18 years, they’ve been building powerhouse brands by doing just that. How They're Different: Ogilvy Public Relations has a global footprint that allows them to successfully counsel the world’s largest brands, organizations, and institutions and elevate their communications to the level demanded by today’s competitive market. How They're Different: Allison + Partners blends a large agency and a small agency given that they have 26 offices worldwide and over 300 employees. They can comfortably handle any project sent their way. How They're Different: W2O Group is an agency network. They have multiple agencies that handle and help different sets of clients. How They're Different: Highwire PR combines their experience in journalism and Silicon Valley to create meaningful business results through smart communications programs. How They're Different: They are breaking industry molds. They are striving to make traditional media relevant again as well as housing multiple media services all in one location. How They're Different: Edelman strives to evolve PR into a mix of communications marketing, advisory and digital to advance the businesses and brands of tomorrow. Mission: To provide public relations counsel and strategic communications services which enable their clients to build strong relationships, and to influence attitudes and behaviors in a complex world. San Francisco is a hub for fantastic creative marketing agencies working with various clients, winning accolades in their field, and showcasing their mission. You are bound to find a creative agency that will meet your company’s needs, and we hope this guide helps you do so!